Last month Kaden turned 7 years old. 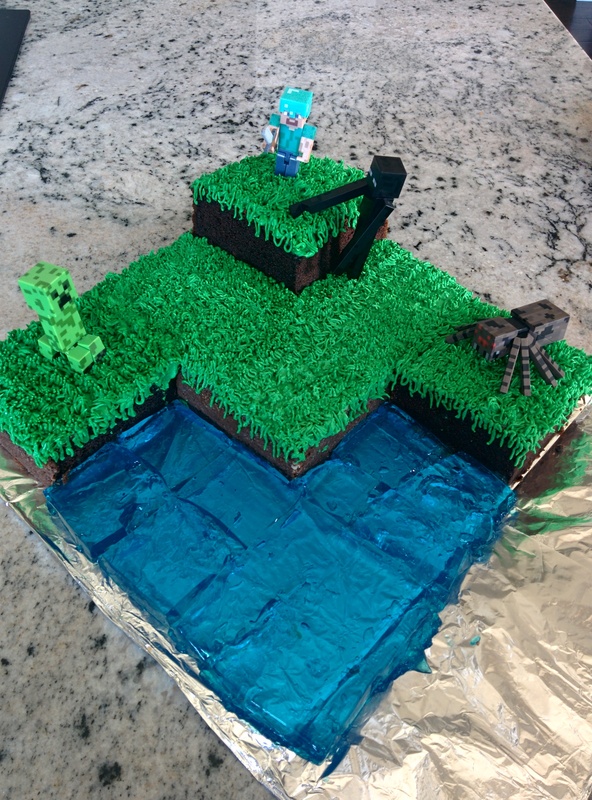 This years hot theme, was of course, Minecraft. 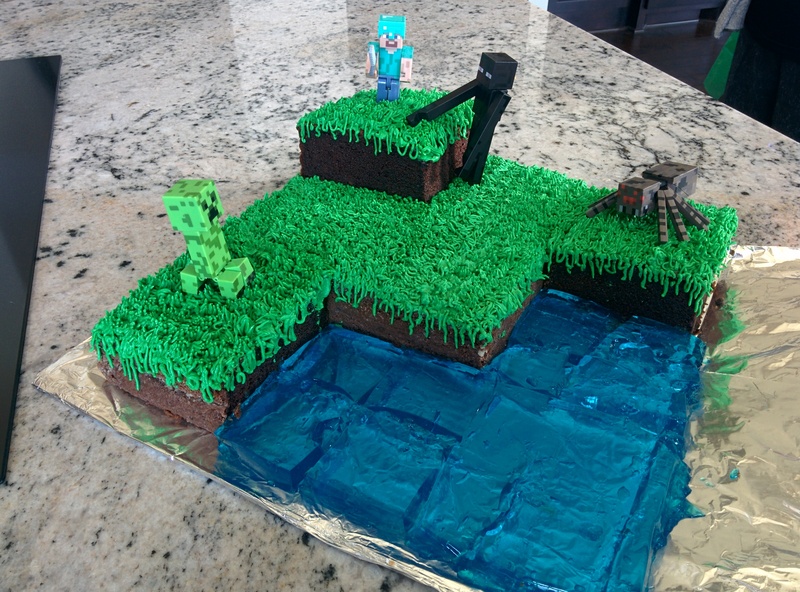 I went to the party store thinking that they would surely have Minecraft birthday supplies since pretty much every kid these days loves it. But no. There is absolutely zero Minecraft birthday stuff. So I was forced to get crafty. I bought some green cups and made creeper faces on them with a black Sharpie. 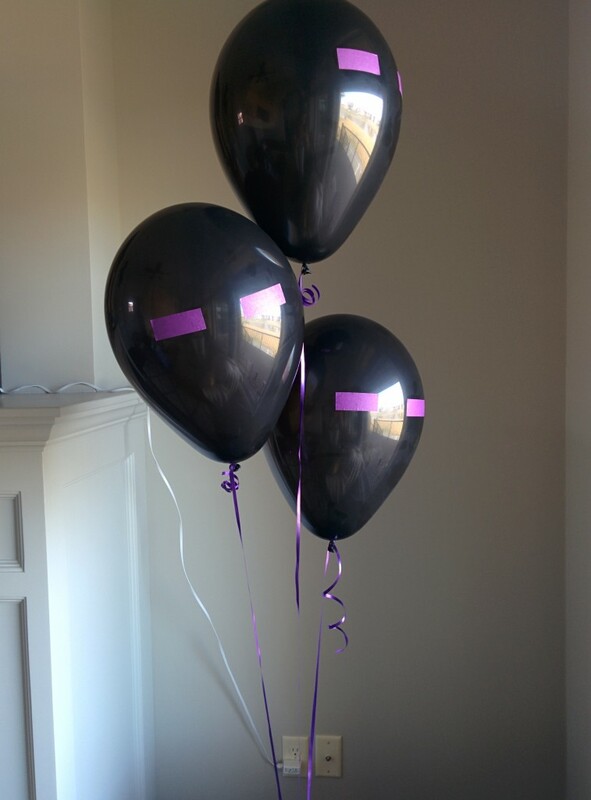 I bought some purple masking tape and stuck a few strips on black balloons to make them look like enderman. 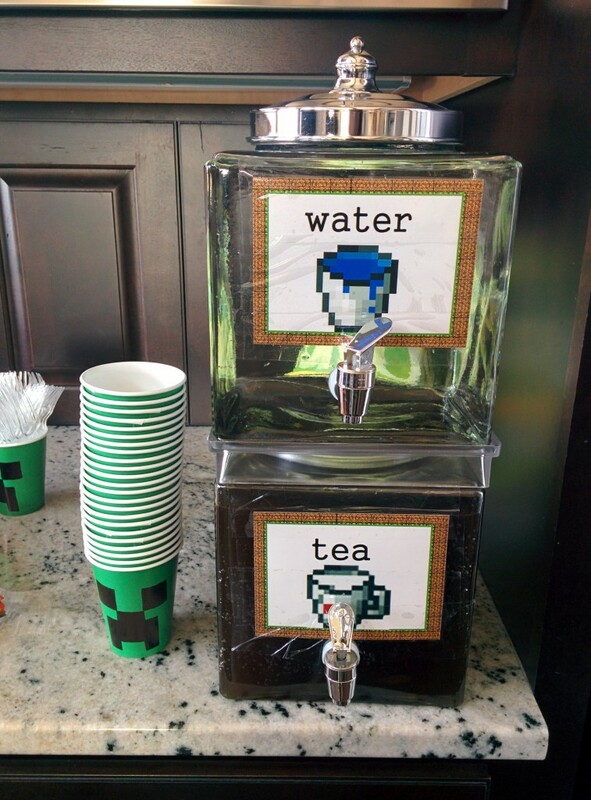 I was originally planning on getting green balloons and Sharpie-ing creeper faces on them, but after doing that on the cups, I decided that that was not going to happen. So I took the lazy route with the enderman balloons, but I really like how they looked. 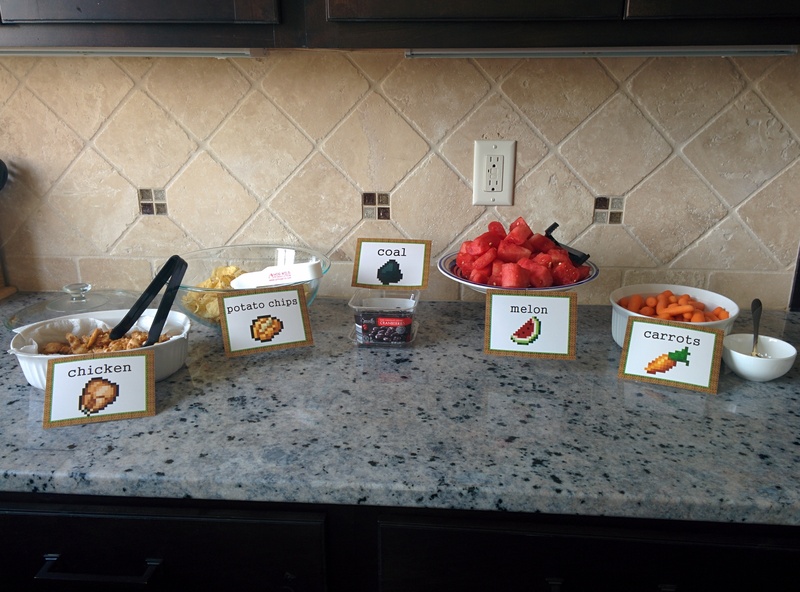 I decided on a few easy snacks that were also Minecraft food, and had picture labels printed as 4×6 prints from Walgreen’s. Cheap and easy. The cake, however, was not so easy. Baking is not my strong suit. Normally I have a cake made, but this year I decided to try my hand at it. I borrowed some cake making supplies from a cousin of mine, who is actually good at it. It was a little stressful, and at one point I was ready to just throw the whole thing in the trash. I seem to have that moment just about every time I try to bake something. But somehow, the cake turned out okay, better than I was expecting it to. I made blue Jell-O for the water and put in next to the cake. I didn’t think about it before hand, but the Jell-O touching the cake made the cake taste tropical and fruity. Not intended. It was a weird mix of flavors lol. But the rest of the cake not touching the Jell-O ocean, tasted pretty good. All in all, it turned out to be another successful birthday.